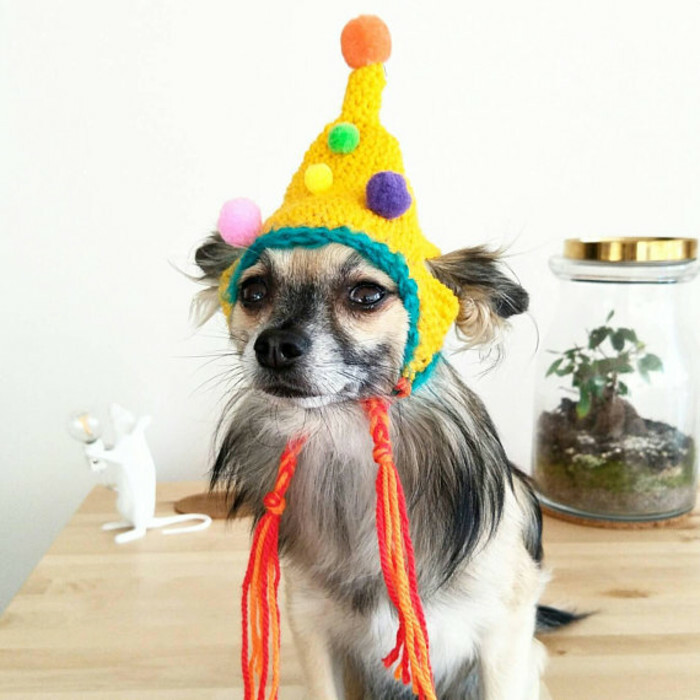 Stylish and cute little crochet party hat for your pet! 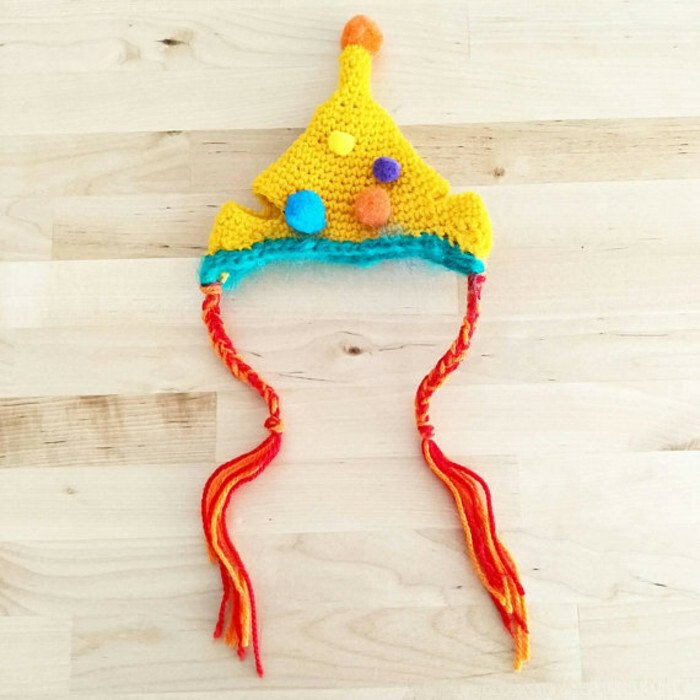 This hat is made from acrylic wool with cute pom poms. 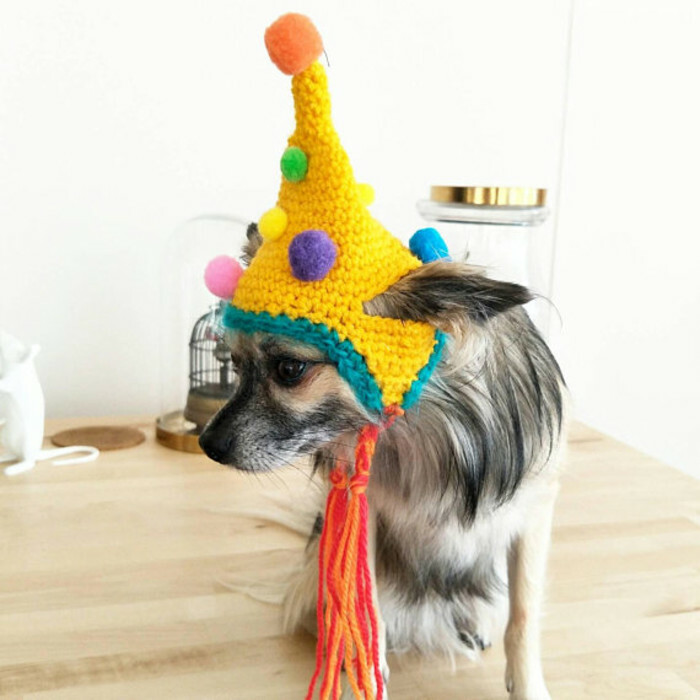 This is a one-of-a-kind pet accessory and I always have people stop us on the street and ask about these hats!! 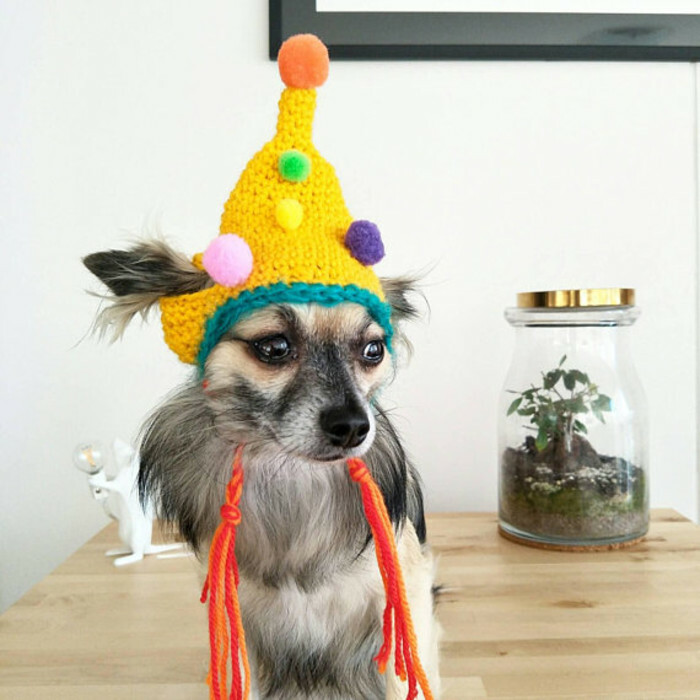 This hat makes a great photo prop and would be great to wear to festivals or a pawty! 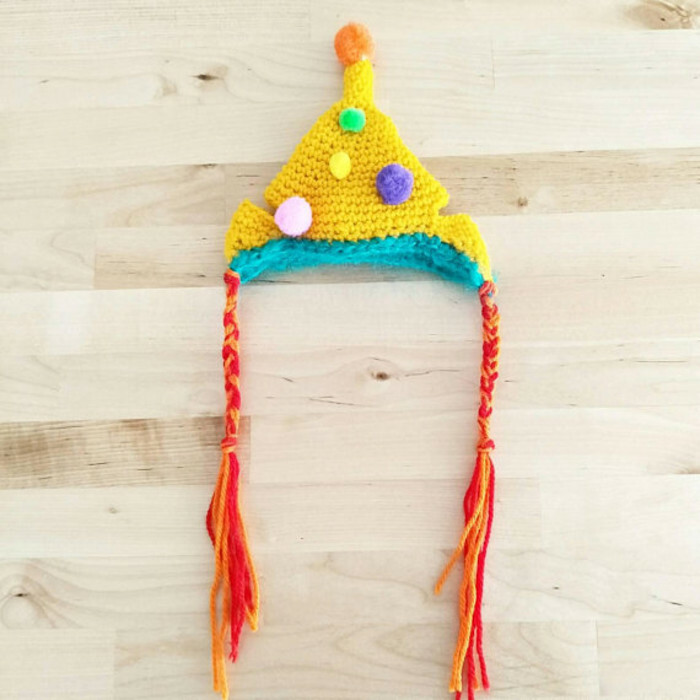 This hat can be purchased as is or made to custom requests such as different colour combinations. 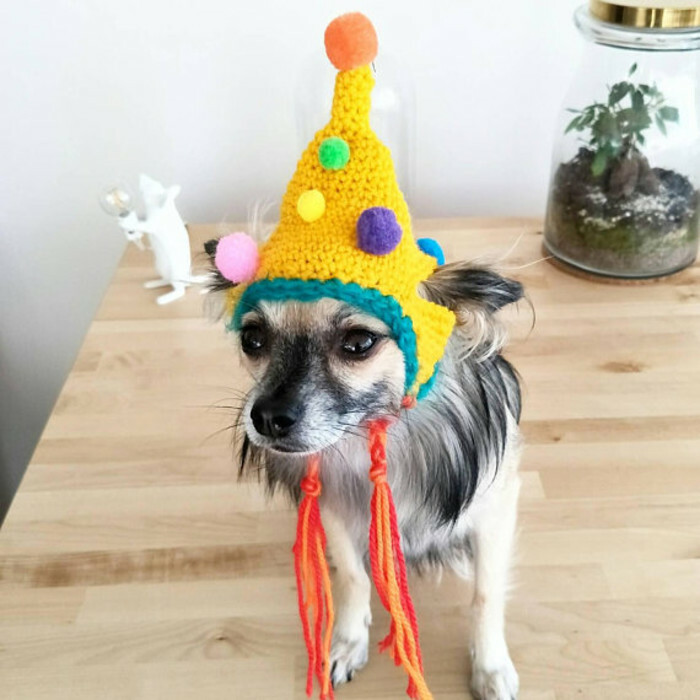 Please leave MadeIt username as a reference.